This cake tastes just like it sounds, like a honey bun cinnamon roll. Light and fluffy cake with a brown sugar and pecan streusel center topped with a light vanilla glaze. 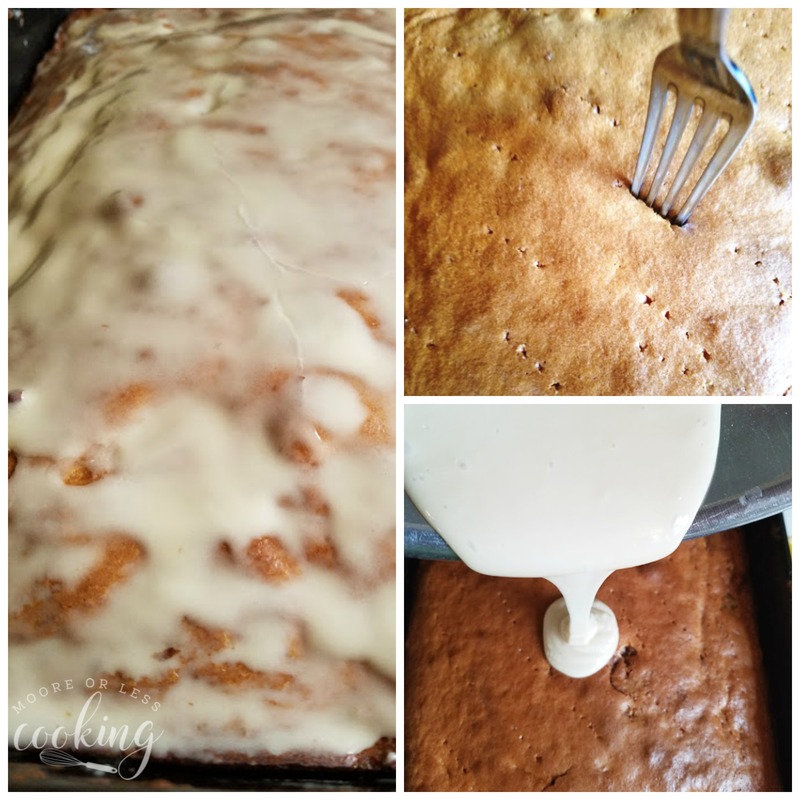 Best Honey Bun Cake is perfect for a holiday get together! It serves 12 people and it disappears very quickly. My Grandma used to bake this cake for holiday potlucks, so I had to get the recipe from her. All of us kids would beg for a slice right when the party started. I think you will enjoy it at your next family event. We enjoy Starbucks® Holiday Blend Ground Coffee 10 oz and Starbucks® Holiday Blend K-Cup® Packs 16 ct at our family get-together to go with this Best Honey Bun Cake. Starbucks® Holiday Blend coffee tastes like sweet maple with a smooth finish. 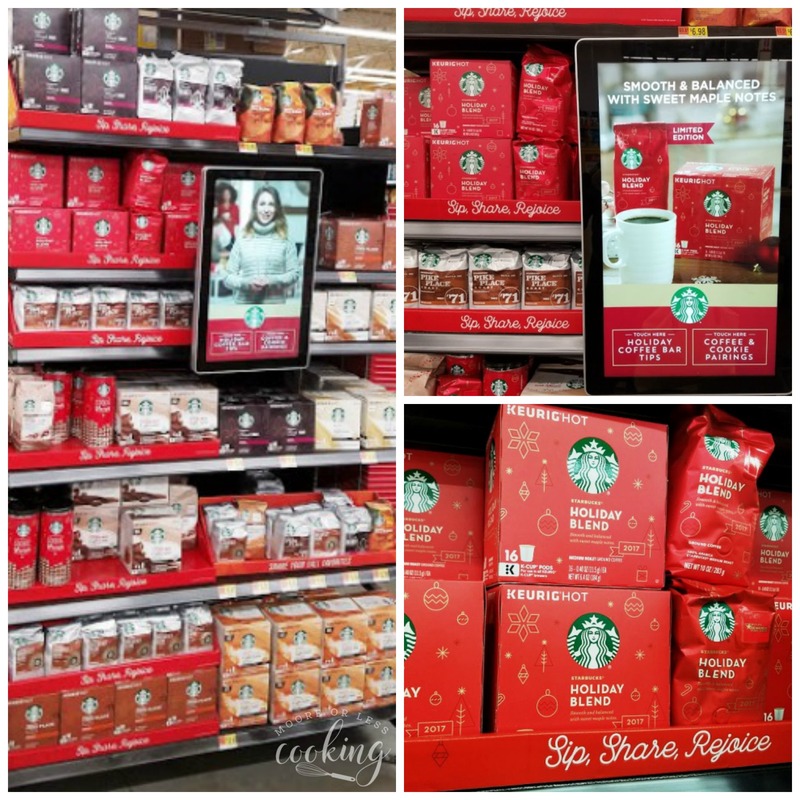 I like that I can find my favorite Starbucks®coffee at Walmart. There is a fun touch screen at the end of the aisle that shows different coffee and desserts pairing and holiday coffee bar tips. It’s great that my favorite Starbucks®coffees can be found in one place. If you are like me and enjoy your Starbucks®packaged coffee, make sure to check this out! When you purchase three (3) qualifying Starbucks®packaged coffee (10-20oz. ), Starbucks® K-Cup® packs (9-32ct. ), VIA® Instant (5-8ct. ), Starbucks® Syrups (12.17oz. ), or Starbucks® Cookie Straw packs (9.17oz.) products in a single transaction at Walmart stores from 11/1/17 through 12/26/17 you will receive 75 bonus stars when you upload your receipt at Starbucks-stars.com. Glaze the cake right after it is taken out of the oven. Enjoy a slice of Honey Bun Cake with a cup of Starbucks® Holiday Blend Coffee. 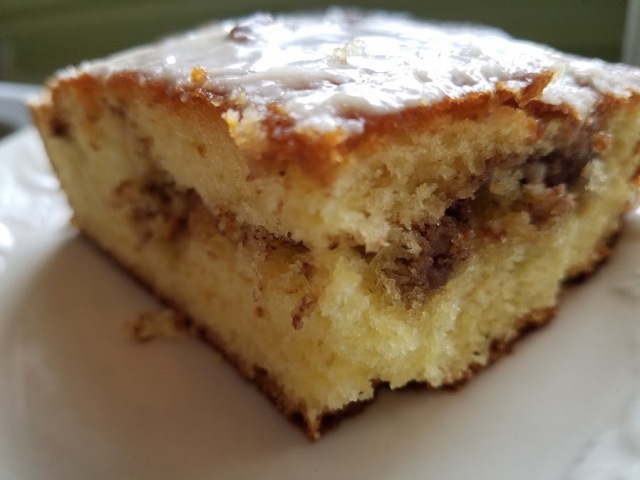 Honey Bun Cake is like a cinnamon roll but in cake form. Soft, moist cake, with a cinnamon and brown sugar streusel and a light vanilla glaze. 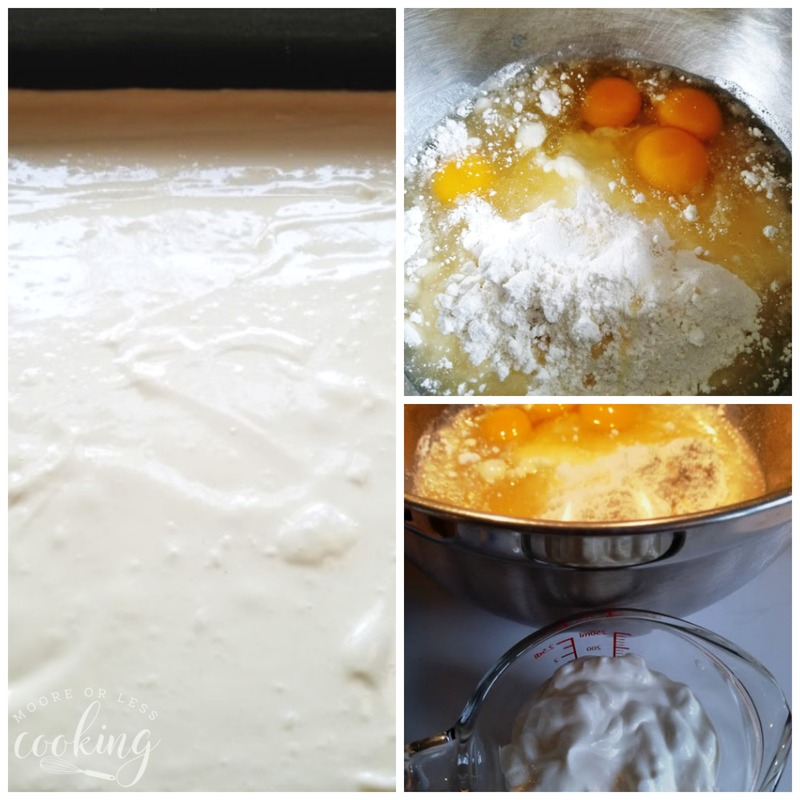 Combine cake mix, eggs, sour cream and oil in a large bowl and whisk together until well blended; set aside. 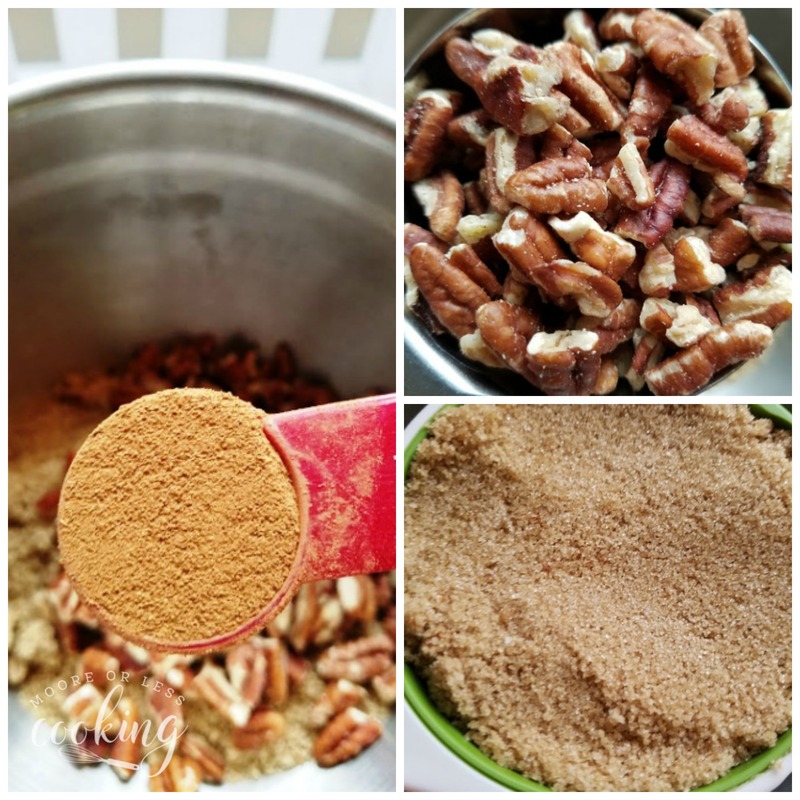 Combine brown sugar, pecans and cinnamon in a separate bowl. Sprinkle with half of the brown sugar, pecans and cinnamon, covering the entire cake. Spread the rest of the cake batter over layer and top with remaining sugar and cinnamon. Use a knife and swirl the batter. Bake for around 45 minutes or until a toothpick inserted in the center comes out clean. To Make the glaze: Combine powdered sugar, one Tablespoon of milk and vanilla and stir until smooth. If too thick, add a little more milk. Pour glaze over hot cake after you take it out of the oven. Let set. Serve warm or at room temperature. Spread half of the cake batter into the prepared pan. What’s your favorite Starbucks® coffee flavor? Tell me below in the comments.